Pesto genovese is a bright green Italian sauce that traditionally consists of garlic, pine nuts, parmesan cheese and basil. These days you can make a pesto sauce from any number of combinations of vegetables, herbs and nuts. Some examples include arugula, spinach, and kale, just to name a few. Pesto is great spread on sandwiches and pizza, tossed with pasta, or used as a salad dressing. While store bought pesto does the job in a pinch, make your own whenever the opportunity arises. No jar can replicate the taste of fresh chopped basil and garlic. These recipes illustrate pesto's infinite versatility in the kitchen. If you're burnt out on Caesar salads, Chinese chicken salads, or any other salad that's in your weekly rotation, give this cauliflower and potato salad a try. Grilled cauliflower is paired with tender potatoes and peas on a bed of spinach. Fragrant homemade basil pesto is drizzled over the top to bring this whole dish together. Instead of Italian dressing or other vinaigrette, basil pesto is tossed with fusili pasta to create an incredible pasta salad. 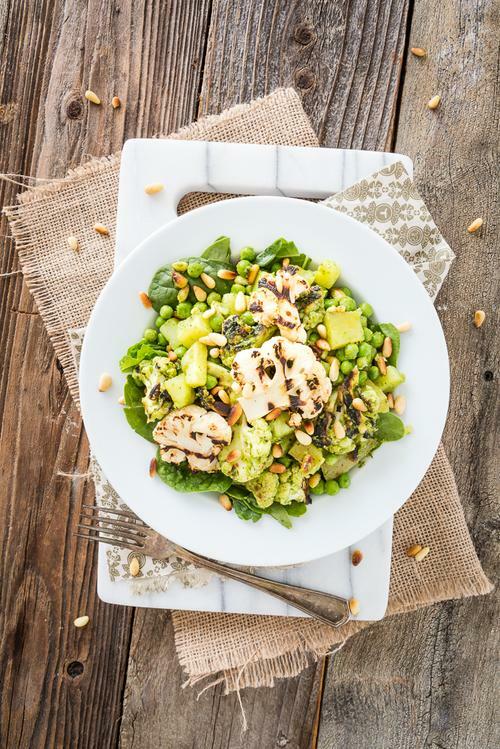 This salad is packed with flavor and tons of vegetables. It travels fantastically so it's perfect for picnics and potlucks. This simple 5 ingredient sandwich comes together in a flash with the help from your favorite store bought pesto. 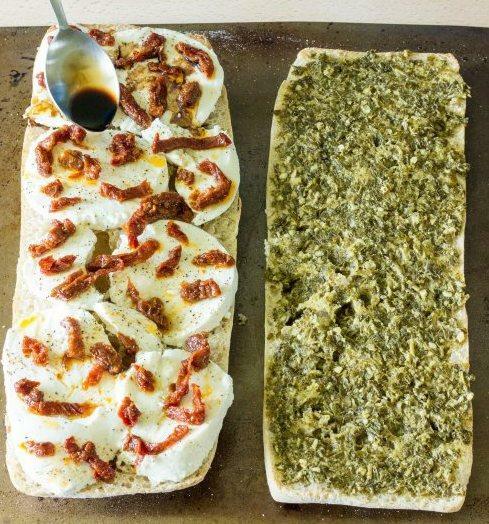 Fresh mozzarella, sun dried tomatoes and bright green pesto are layered onto ciabatta bread and grilled. You can either use a panini press or a heavy cast iron skillet with two cans to weigh down the sandwiches. This summer vegetarian pizza is simply out of this world delicious. 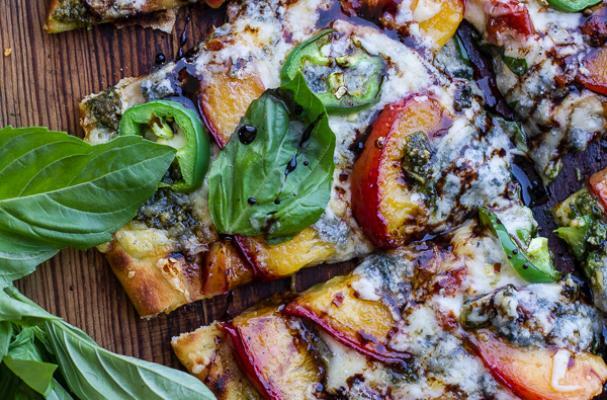 A homemade honey flavored pizza crust is charred on the grill before it's loaded with walnut pesto, fontina cheese, caramelized nectarines and a spicy balsamic drizzle.